This item has been sold, but we think you'll like these items from House of Holly's booth, too. 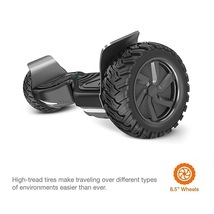 2017 All-Terrain 8.5" Off Road Self Balancing Scooter HoverBoard Mud ressistant and waterproof, this Off Road hoverboard is by far the ultimate off road hoverboard on the market. 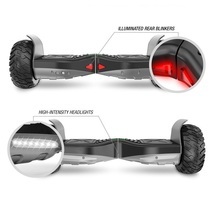 The most premium hoverboard available. Limited supply. 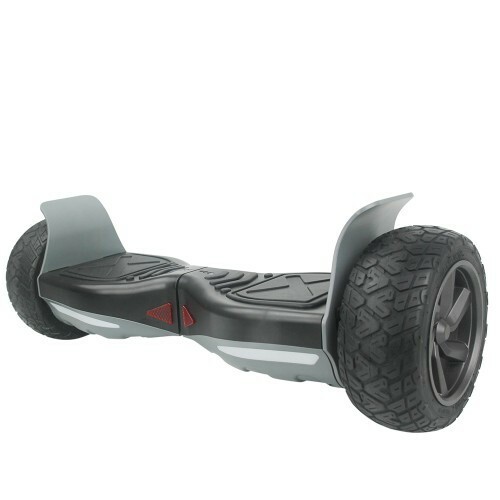 Buy early for Christmas FAQ EXTREMELY SMOOTH CONTROL DRIVE ---Self-Balancing Scooter is equipped with powerful accelerometers which ensure an extremely smooth control and drive. Effortlessly and safely accelerate, decelerate, turn right, turn left and reverse while never losing your balance. Drift along in a smooth and exhilarating experience of fun and excitement. BETTER AND FASTER THAN THE OTHERS ---TOP SPEED OF 10 MPH - Smooth Simple Acceleration, Drift Corners with Ease! Just lean forward or back to go forward or reverse. Lean side to side to master cornering at high speeds! 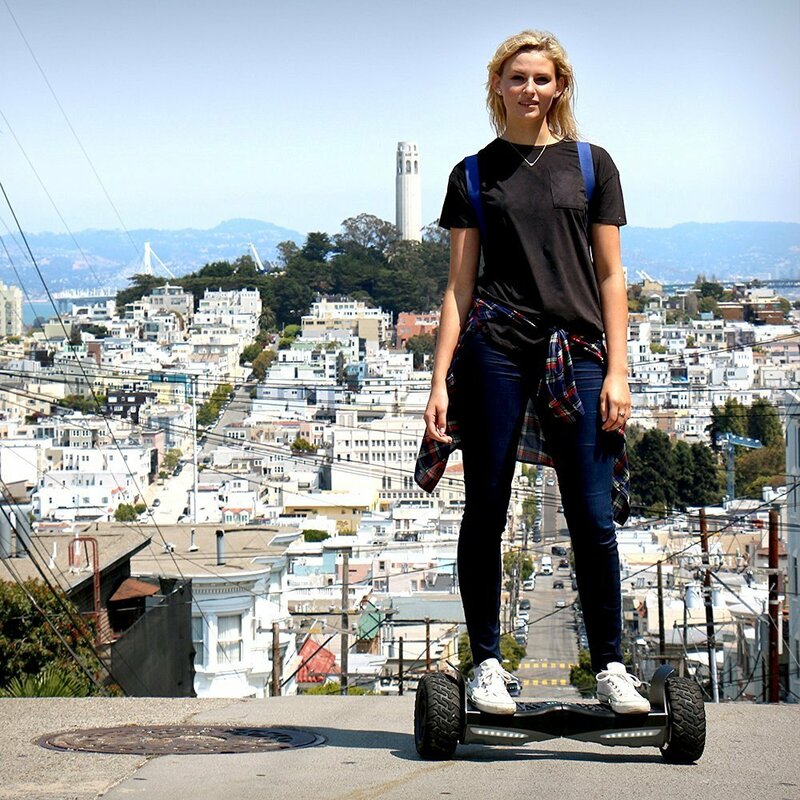 Max Weight is 264 lbs EXTRA LONG BATTERY LIFE POWERFUL MOTOR ---The Self-Balancing Scooter is loaded with a High-Capacity original Samsung Battery (Certified Safe Battery) and travels as much as 15 miles and up to 4 hours per single charge! Battery gets fully recharged in just 2-3 hours. Features a real-time battery level indicator; know when it is time to recharge. EASY TO RIDE TONS OF FUN --In less than 5 minutes you will be up and riding around - Most people master it in as little as 30 seconds! Once you ride it you will never want to get off! 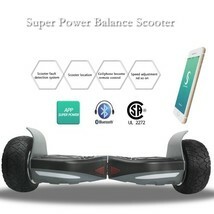 ENHANCED SAFETY FEATURES ---Designed to be the safest self-balancing scooter. 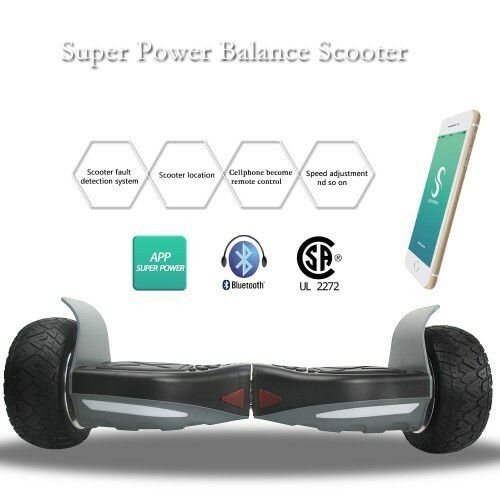 The safety features includes: • Self balancing scooter will automatically stop when detecting a slip or unbalanced rider. • Features a max speed limit, which will prevent the scooter from accelerating to unsafe speeds. • Premium quality gyroscopic and gravity sensors detect riders control fast, enabling precision control and safety. • Features enhanced grip performance tires for maximum safety • Tire protection shield to effectively prevent clothing from getting stuck and also acts as a collision shield. • Features super-performance non-slip pedal platforms for maximum grip. • Features 8 Super-bright LED lights for high night time visibility. Enjoy the fun safely! SELF-BALANCING TECHNOLOGY ---The Self Balancing Scooter features multiple gyroscopic and gravity sensors in each wheel; thus amazingly stabilizing the driving experience. With double balancing power, you will get the hang of it superfast. Zoom around like a whiz and focus on the fun!